Klip Gallery: Swrve – How can we help you today? Monitor your key mobile app metrics with a selection of Swrve Klips on your dashboard. Compare and monitor your Average Revenue Per User and Average Revenue Per Paying User for the last 30 days. Monitor your mobile app activity by comparing daily active users with new users. Compare user conversion with the daily paying users of your mobile app. Track the average daily sessions on your mobile app over the past 30 days. 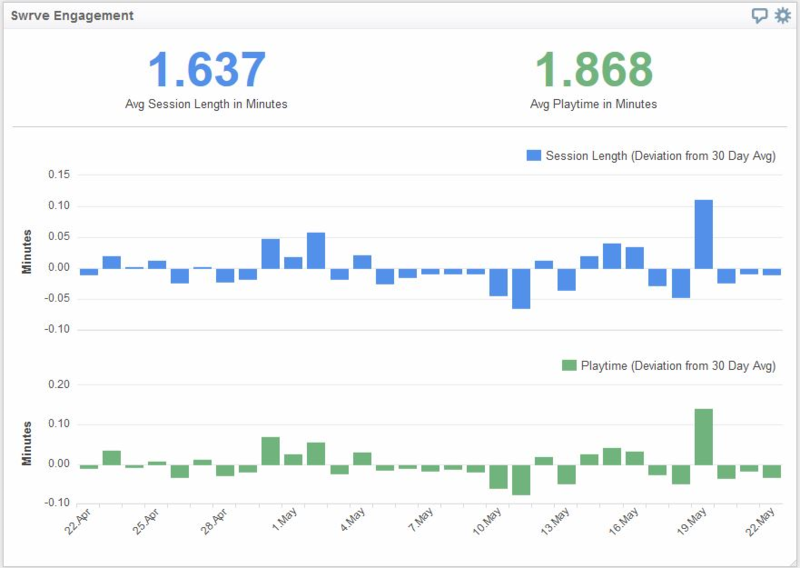 See average session length and playtime on a single Klip over the past 30 days. Monitor Swrve event activity over the past 30 days. Show user retention for your mobile app over the past 30 days. Track Daily Revenue on a bar chart for the last 30 days. In order to associate your data with the Klip you add to your dashboard from the Gallery, you will need your Swrve API Key and Personal Key. Select a Swrve Klip from the Gallery. 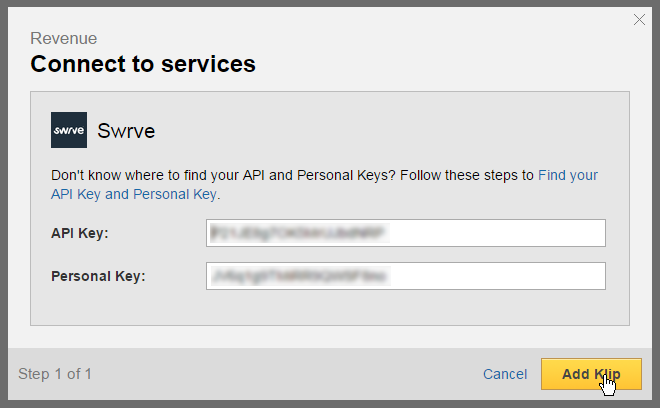 On the Connect to services popup, enter your API Key and Personal Key. 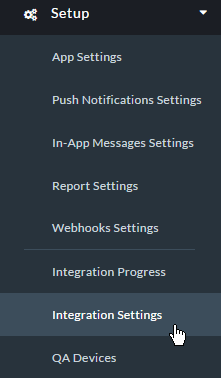 On the Apps Overview page, select the app you would like to monitor. On the left-side menu, select Setup. 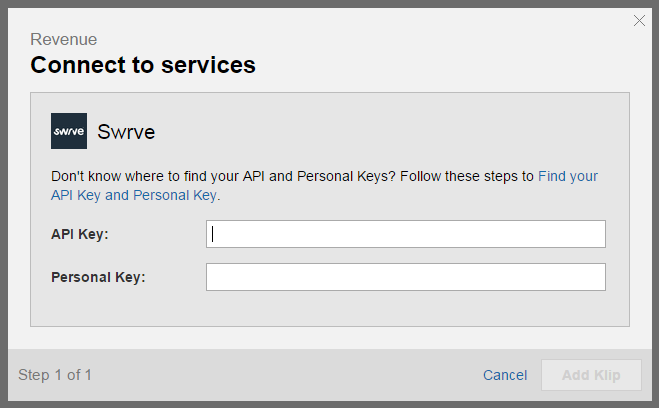 Copy your API Key and Personal Key paste it into Klipfolio Dashboard. On the left-side menu, select Reports. 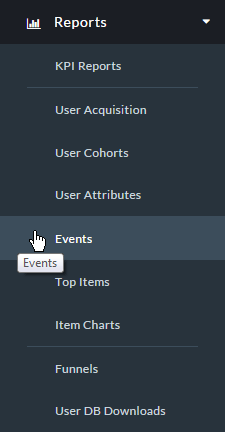 Copy an Event and paste it into Klipfolio in the exact same format.